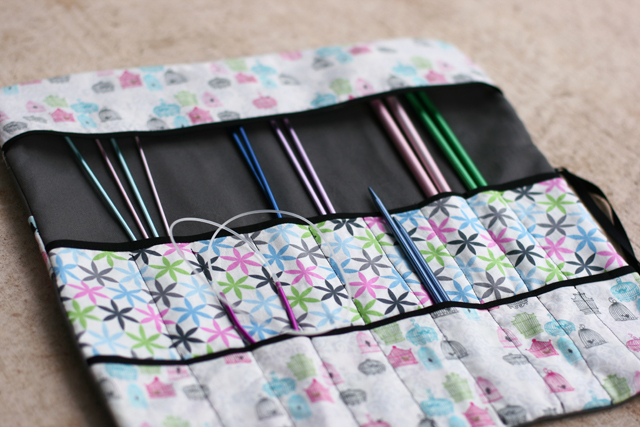 I finally have a knitting needle case! Â I used this wonderful tutorial. 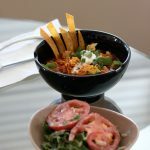 Everything turned out so good! Great job! I’ve been wanting to learn to sew too. I was just looking at sewing machines yesterday, but I’m not really sure whats good and what isn’t. Thanks so much! I wanted to learn for a long time too. If it helps any, I got this Brother. My husband did research and found that the best for the price–he didn’t know I’d already decided that’s the machine I wanted to learn on! These are completely gorgeous! You’d never be able to tell you just started sewing. I’d like to eventually get into sewing too, but unfortunately I have other, higher priority things I need to buy. 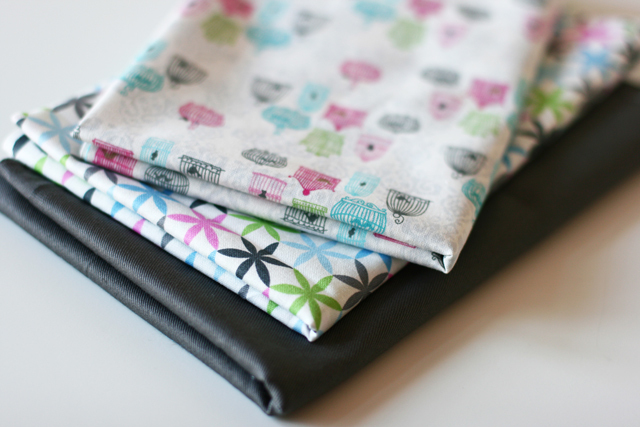 You should consider selling some of your aprons on Etsy, they’re seriously beautiful. I have had a sewing machine for years and still can’t do straight stitches. How did you learn so fast? And I LOVE your aprons. I’ve been wanting to make some myself but never found the time (or talent). Well, I wouldn’t exactly call my stitches straight yet. That is definitely what I’m struggling with the most right now. I’ve practiced quite a bit by drawing straight lines on a piece of paper, taking the thread out of the machine (just so I don’t waste it), and punching holes along the lines. It really helps a lot! Once I felt more comfortable doing lines I started drawing abstract shapes and circles too. When you need to sew staight lines on projects such as the needle case, it helps to do the markings on wax paper first and then stich over it. When your done, just tare the wax paper off and what you end up with are straight lines. If the paper wrinkles too much, just loosen the stich and that should do the trick. Such a simple pattern, but so effective… WELL DONE! 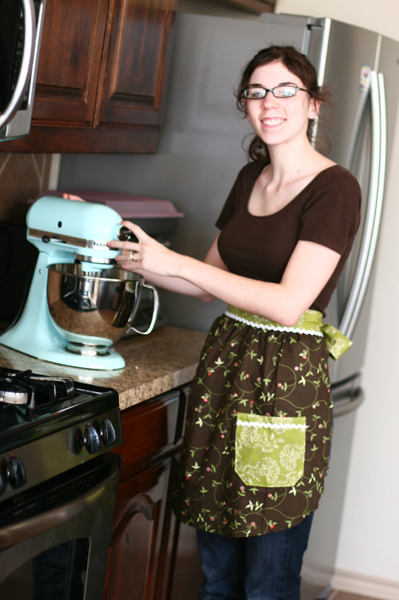 I love your aprons! 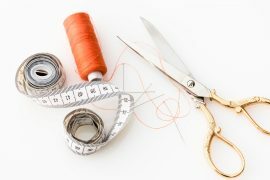 You sew, girl! 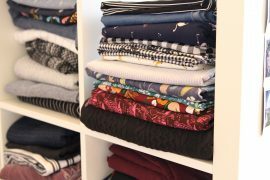 Have you found http://www.WeAllSew.com yet? 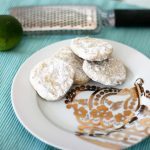 I think you’d like scrolling through the “Free Stuff” page – lots of great projects and tutorials that are right up your alley. Thank you so much for the recommendation! I had no sewing resources except a few great bloggers and Craftster.org, so that helps a lot! First off, beautiful aprons! 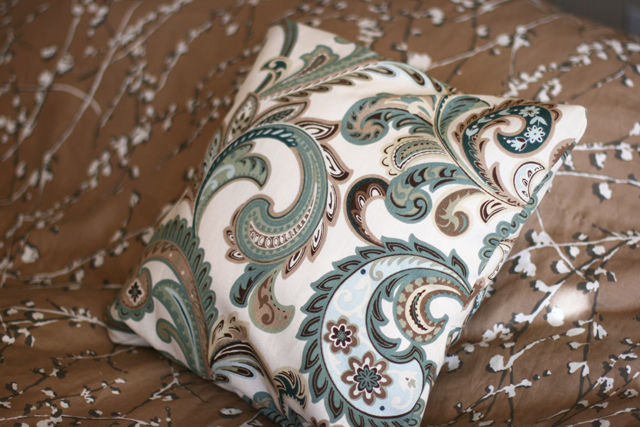 I love the fabrics and the way you put them together. Secondly, that is one fantastic husband you’ve got–he appreciates your craft, puts it on display for the world, and knows how to get stuff that will further it. You’re a lucky woman. I love all of your fabric choices! They’re great! It looks like you’ve gotten off to a good start with sewing! 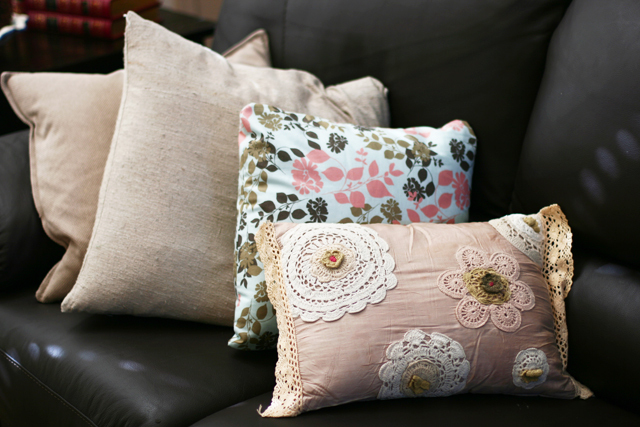 Very lovely aprons and pillows! The green apron is my favorite, it looks super adorable! Hi Alyssa! I found your blog via CraftGawker. We are so alike! I just bought a Brother sewing machine (I think a price/freature step down from yours, it’s the teal & white one) and my first project will be a pillowcase, an apron, and a sewing machine cover! Your apron is absolutely adorable. 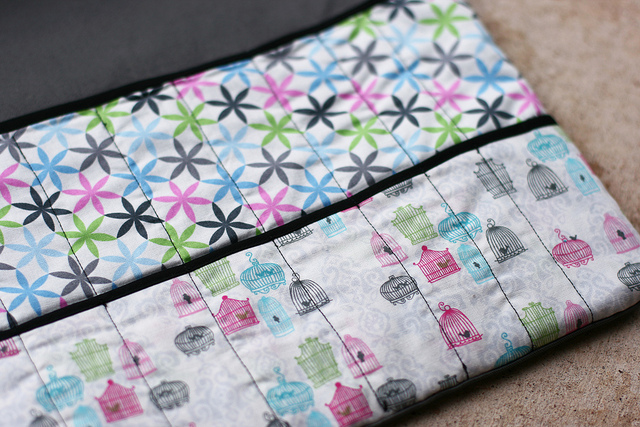 And I thought it was worth mentioning, I bought the same birdcage fabric to make the cover for my sewing machine! Also, where did you get the blue mixer & that cute pink pillow? I love them both! Hi! Your Brother sounds cute. 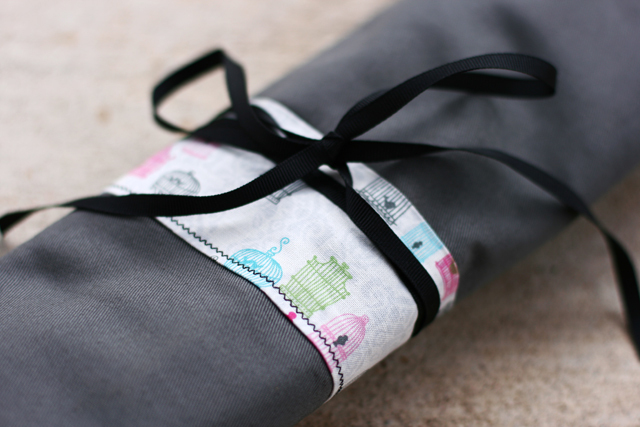 I wonder if I should sew a sewing machine cover too–I hadn’t thought of it. 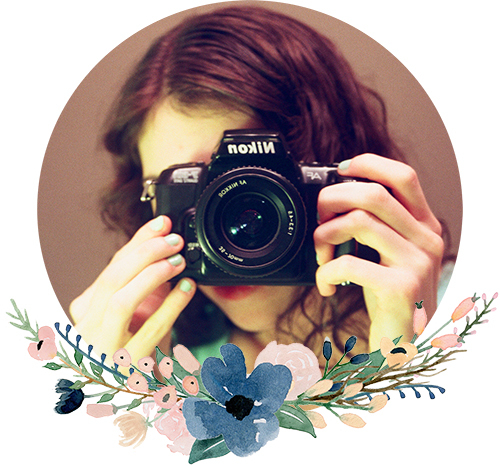 I hope you’ll put pictures of yours on your blog when you finish it. I love your aprons! Where did you get the patterns? I am thinking about making one for my first sewing project! 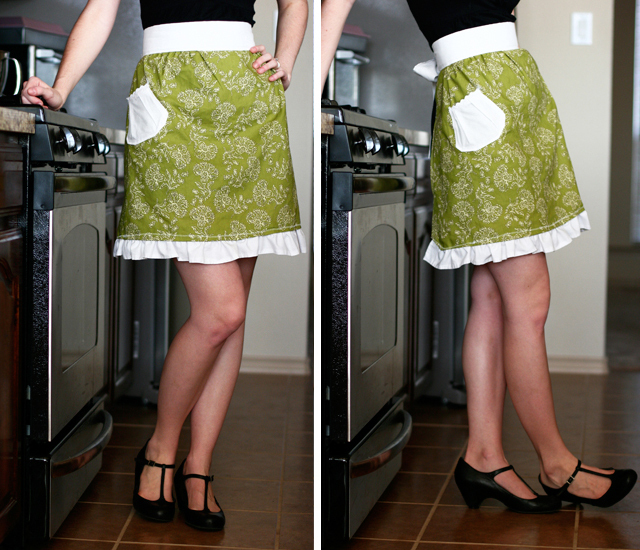 Cute apron…nicely done. I also love your shoes!! Hi!! Your apron is gorgeous! Just wondering if you have a tutorial for it or have I completely missed the link? 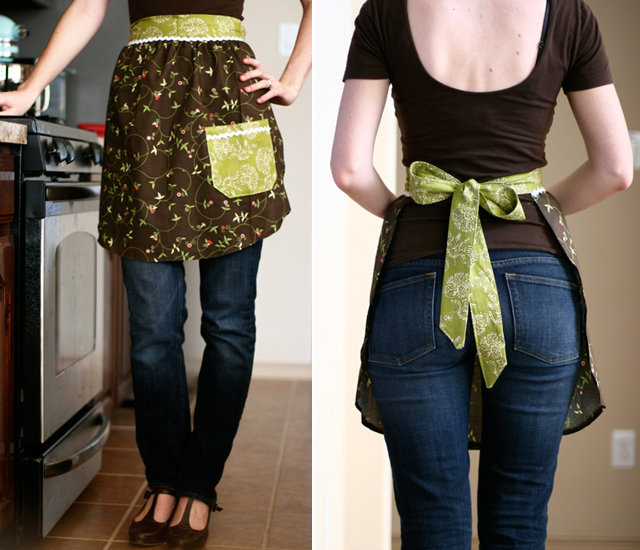 I’m just a beginner since a friend gave me a sewing machine for my birthday and I’d like to try this apron. :) Thank you! You’re an inspiration! I actually didn’t use a pattern! I used an aprom I already had as a guide for the skirt a bit, but besides that it was all on my own. Honestly, I have no idea how I knew how to do everything! All your creations are so great! 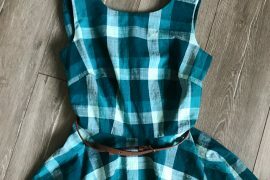 I just started sewing this year & you’re a total inspiration – you actually inspired me to make my own apron without using a pattern [the first time I’ve ever successfully done that], & it turned out so great! It’s not perfect, of course, but it will be great for the handmade gift exchange I’m participating in right now, because the girl I’m making a gift for said she wanted things for her kitchen. :] Thanks so much, keep up the great work! Wow what a compliment! I’ve dropped the ball a bit on my sewing, I’m afraid. I started a skirt a couple weeks ago (my first real piece of clothing and first time with a pattern) but got intimidated when it came time to attach the zipper, and it’s been sitting by my machine since. I hope the giftee likes the apron! I think they make wonderful gifts, plus they are fun to make because you get to play with all sorts of fabric combinations! Good Job and thanks for the inspiration! 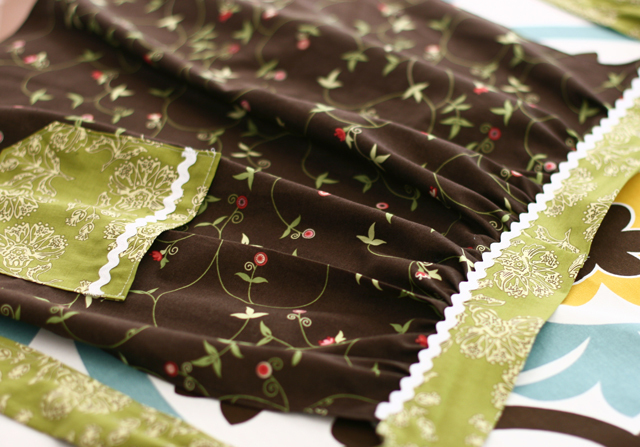 I am always on the outlook for new tasks and find sewing so relaxing. Keep up the good work, your projects look fantastic! Lovely apron!!! :) Amazing for the 1st sewing project.